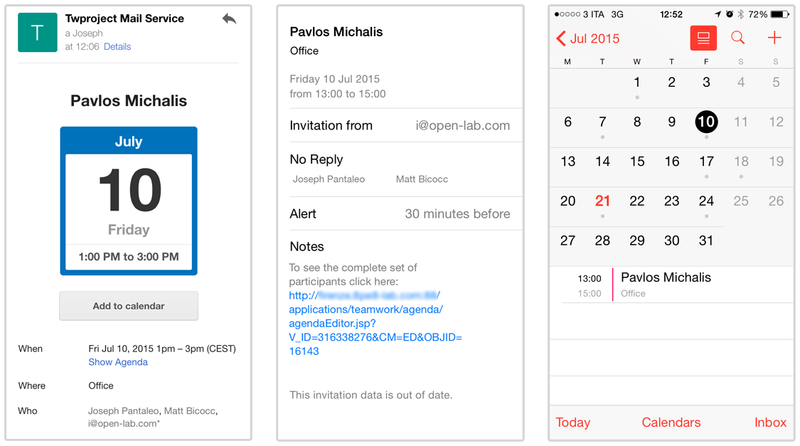 Twproject can work both ways with external calendar like Outlook, iCal or Google Calendar. 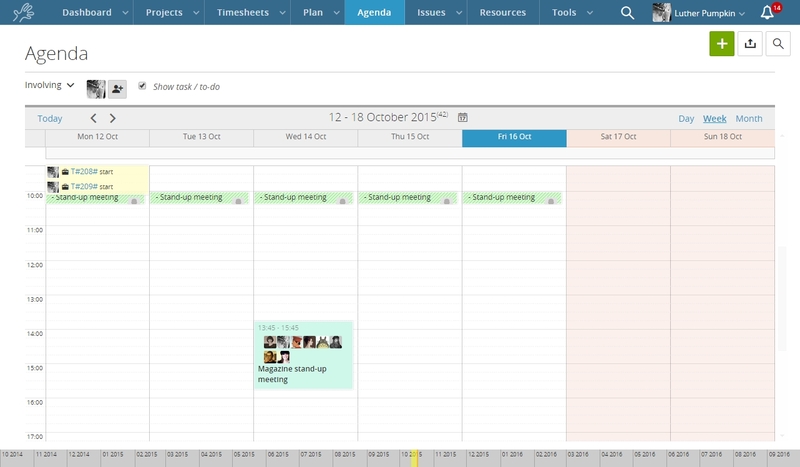 Many users have their calendar integrated in the e-mail client or in similar client solutions (Outlook or iCal are this kind of clients). Twproject may send an iCalendar messages to your client whenever an event is created/modified/removed on Twproject’s calendar. Following screens are from Outlook, but it works on every client. When the client receives an iCalendar message, it recognizes it, presenting the mail received as in the picture. The appointment will be put in Outlook’s calendar when received, and it will be possible to accept it or not. Notice that if you update an event in Twproject, and resend it, Outlook will recognize it as an instance of the preceding event, and automatically update it – very nice! How to create an appointment on your client and send it to Twproject? A suggestion: manage the events where they are created. If you create an event on Twproject if you have to change it the best way is to change it on Twproject. Similarly if you create an event on your client, modify it there, not in Twproject. All e-mail downloaded gets logged in Twproject’s e-mail log: see Logging. There are other options regarding calendar. 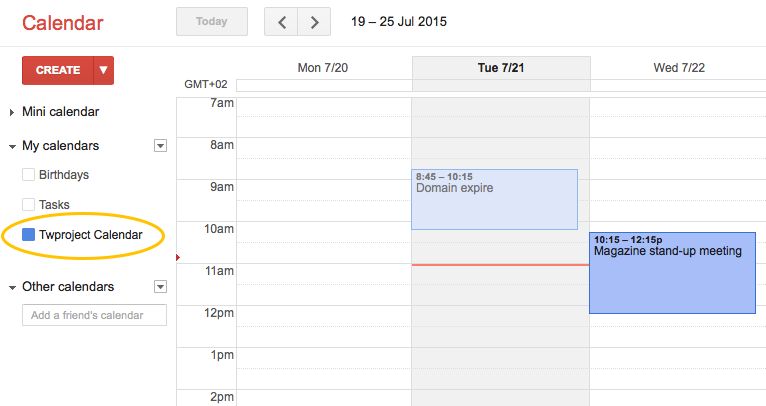 You can publish your whole Twproject calendar on a web-based calendar service like Google calendar. For Google calendar, you will find the url on the Google calendar setting. This works similarly as above: the URL seen when selecting “other calendars” can be sent by e-mail to your iPhone (click on ; if it does not appear, it’s because you haven’t set an e-mail on your Twproject user).